Get a more detailed explanation of H.264 and its applications in this video. H.264 is a well-known video compression standard for high-definition digital video. Also known as MPEG-4 Part 10 or Advanced Video Coding (MPEG-4 AVC), H.264 is defined as a block-oriented, compensation-based video compression standard that defines multiple profiles (tools) and levels (max bitrates and resolutions). This format supports 4K and up to 8K Ultra High-Definition. 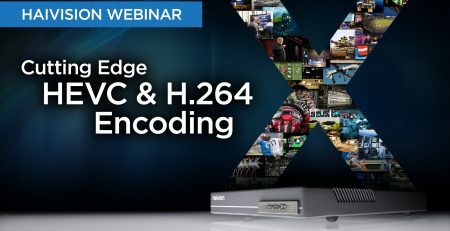 A codec based on the H.264 standard compresses a digital video file (or stream) so that it only requires half of the storage space (or network bandwidth) of MPEG-2. Through this compression, the codec is able to maintain the same video quality despite using only half of the storage space. The purpose of creating H.264/AVC was to pioneer a new digital video standard capable of delivering good video quality at a substantially lower bitrate than previous standards without overly complicating the design so that implementation remains practical, and relatively inexpensive to implement. The next generation of compression is known as H.265 or HEVC, offering another quantum leap in efficiency. 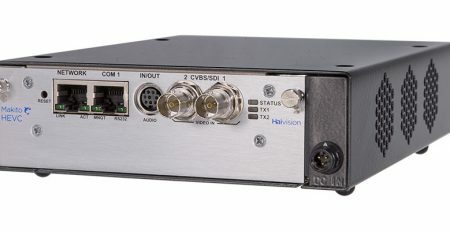 The H.264 standard is also flexible enough to be applied to a wide variety of applications, networks, and systems, including those with low and high bit rates, low and high resolution video, broadcast, storage, IP packet networks, many types of networks, such as internet, MPLS, satellite, cable, and also ITU-T multimedia telephony systems. H.264 is widely adopted within many verticals and by a wide range of devices—from professional decoders, all the way down to browsers and mobile devices.